A conversation I had this morning with a family member reminded me of something I’ve actually known for decades. Alzheimer’s disease claims many more victims than just those who are afflicted with this killer. A member of my family (not the person with whom I talked today) is battling the disease. His condition appears to be worsening. He is confused; he has lost virtually all the examples of mental acuity he used to display. Eventually, this family member likely could lose his ability to speak, feed himself, bathe himself. What then? It falls on those closest to him — his wife and his children and grandchildren — to bear an unbearable burden. Which brings me to my point. It is that Alzheimer’s disease inflicts far more harm on loved ones than it does on the actual victims. How do I know this? My own mother died of the disease in September 1984. She was just 61 years of age when she left us. We carried that burden to the end. 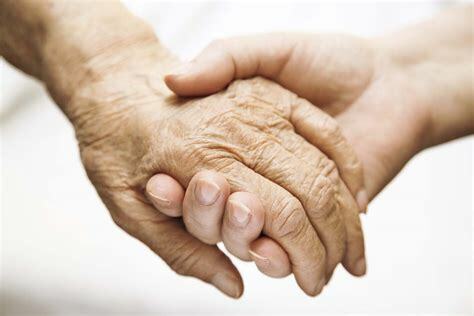 The Centers for Disease Control and Prevention tells us that about 5 million Americans are afflicted with Alzheimer’s disease, a neurological disorder that robs individuals of their cognition. It steals their identity. It turns vibrant human beings into shells of their former selves. As the nation continues to age, the number of Alzheimer’s diagnoses is bound to increase, piling on more heartache to loved ones who are left to care for them. While the nation’s political leaders debate and argue over how — or whether — to spend public money on more Alzheimer’s research, it is good to remember the toll being taken on an increasing number of Americans who are left to cope with the ravages this killer brings to its victims. Do we devote enough national attention to battling this killer, let alone devoting enough of our resources to search for effective treatments and, indeed, even a cure? Not to my way of thinking. Nor to those who are left to care for those caught in the grip of a disease that robs them of their very being. I concluded a long time ago that there is no “good” way to lose someone with whom you are close. My wife and I are still emerging from our sadness over the loss of her mother. She passed away a little more than a week ago at the age of 93. Yes, she lived a long life and, yes, it was her time to let go. She did so quietly and peacefully. How does one react to that event? With profound sadness, no matter what one might know intellectually about the circumstances leading up to that final moment on Earth. I counsel friends and acquaintances all the time when I learn of a loved one’s passing that “It still stinks.” They’ll say something about their departed loved one is “in a better place.” My faith tells me they are. However, it doesn’t lessen the emotional suffering of those they leave behind. As for the circumstances preceding the moment of death, I am one who has endured loved ones’ passing in all manner of ways. My father died suddenly, shockingly in a boating accident more than 38 years ago. The last thing I said to him prior to his departure on a fishing trip to British Columbia was, “I’ll see you Wednesday” when he was supposed to return home. He didn’t make it to Wednesday. My mother’s death was preceded by another, equally heartbreaking circumstance. She died four years after Dad of complications related to Alzheimer’s disease. My family and I watched her disappear before our eyes — even while she still drew breath. Her cognition vanished, along with her ability to speak and eventually to feed herself. The pain upon learning of Mom’s death was every bit as searing as learning of my father’s sudden death. Even as our faith sustains us as we make our way through this life on Earth, it gets tested when we say “goodbye” to loved ones. So it goes. Death has this way of strengthening us as we cope with our loss. 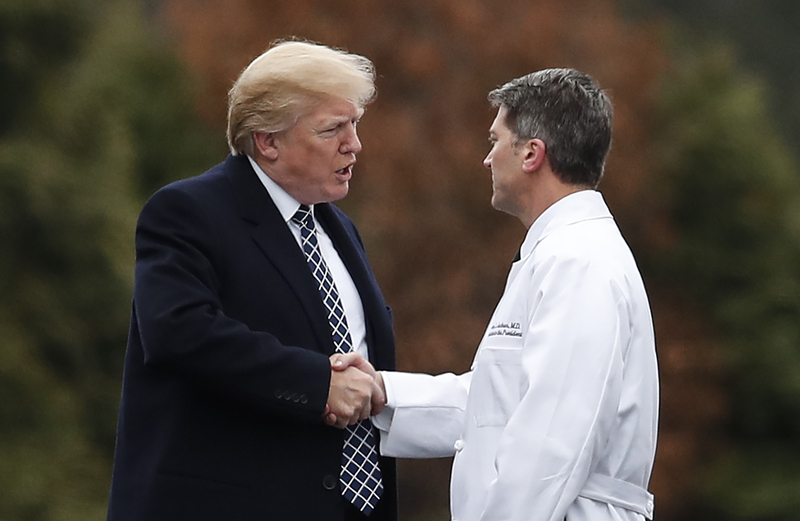 Mental health exams for presidents? Absolutely! Set aside for a moment the questions that have arisen about the current president of the United States, about whether he still possesses all his marbles. The White House doctor says he does. That’s good enough for me. CNN polled Americans and learned that 80 percent of us favor regular mental acuity examinations for presidents. Count me as strongly in favor of that idea. The exams could help determine whether a president is showing signs of dementia, loss of mental snap, whether he is less alert. I’m all for it! When is it too early? I don’t think you should set a minimum age for such exams. Donald J. Trump is 71 years of age. He clearly falls into the category of Americans susceptible to loss of cognitive skill. I’ll pass along this personal tidbit. My dear mother died in September 1984 — at age 61 — of complications from Alzheimer’s disease. She had become a mere shell of the woman she once was. She didn’t recognize anyone. She couldn’t speak. She couldn’t feed herself, bathe or dress herself. Eventually, she developed pneumonia after her brain ceased telling her lungs to breathe. Mom was officially diagnosed with Alzheimer’s disease in the spring of 1980, when she was not quite 57 years of age. In truth, she had been showing some serious sign of personality disorder and loss of cognition at least three, maybe four years earlier. That meant she might have been showing early onset symptoms at the age of, oh, 53 or 54. Most of us are still in the prime of life at that age. Not everyone is dealt that kind of good fortune. Mom clearly was dealt an extremely bad hand. Thus, when the president of the United States is handed the nuclear launch codes and is put in command of the world’s most formidable military machine, I want to know whether he is up to the job. By all means, we need to look inside their noggins regularly. 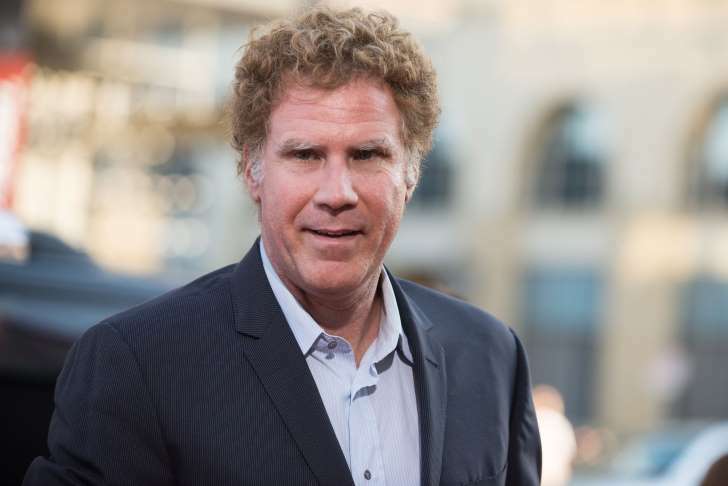 A dreaded disease that needs intense national attention has taken another noted celebrity. 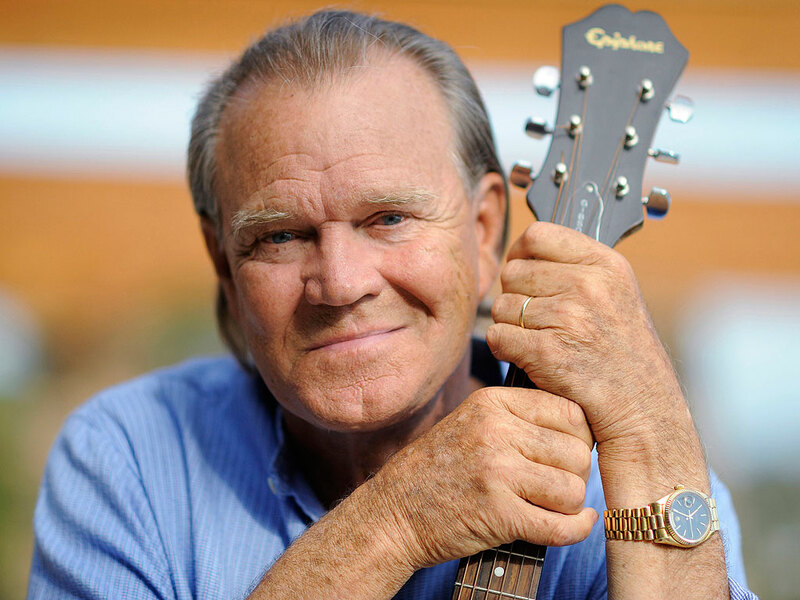 Glen Campbell died today at the age of 81. He suffered from Alzheimer’s disease. It’s a merciless, ruthless killer that afflicts about 4 million Americans. That number is going to increase as the nation’s median age continues to rise. My blog post today isn’t so much about Campbell as it is about the disease that killed him. I’ve written to you many times over the years about Alzheimer’s disease. I take news such as Campbell’s death very personally. My mother died of Alzheimer’s complications on Sept. 17, 1984. She was 61 years of age at the time of her death. She was diagnosed formally only in the spring of 1980 but truth be told Mom exhibited some strange behavior shifts for years prior to the neurologist’s grim diagnosis. The federal budget doesn’t devote nearly the amount of money I would prefer for research into finding a cure for this neurological disease. Alzheimer’s disease doesn’t get the kind of attention it needs, either. Why is that? Its victims generally are older. They are susceptible to this killer. We used to pass it off as merely age-related dementia. I will tell you this as well: Its victims aren’t just the individuals it strikes without warning; they also are the loved ones who care for them. The afflicted individuals eventually do not know they are in dire peril. They don’t know their family members. They lose their cognitive ability … all of it. In my mother’s case, she lost the ability to speak. This disease is as ugly as they come. The only blessing in Glen Campbell’s death is that we’re talking yet again about the disease that killed him. May this conversation translate — finally! — into meaningful commitment to finding a cure. Time flies, right Mom and Dad? You’ve seen this gorgeous couple already. They are my mother and father. Mom’s name was Mnostoula; Dad’s was Pete. The picture was taken as they became engaged to be married. Dad had just returned from seeing horrifying combat as a U.S. Navy sailor. The bulk of his combat occurred in the Mediterranean theater. 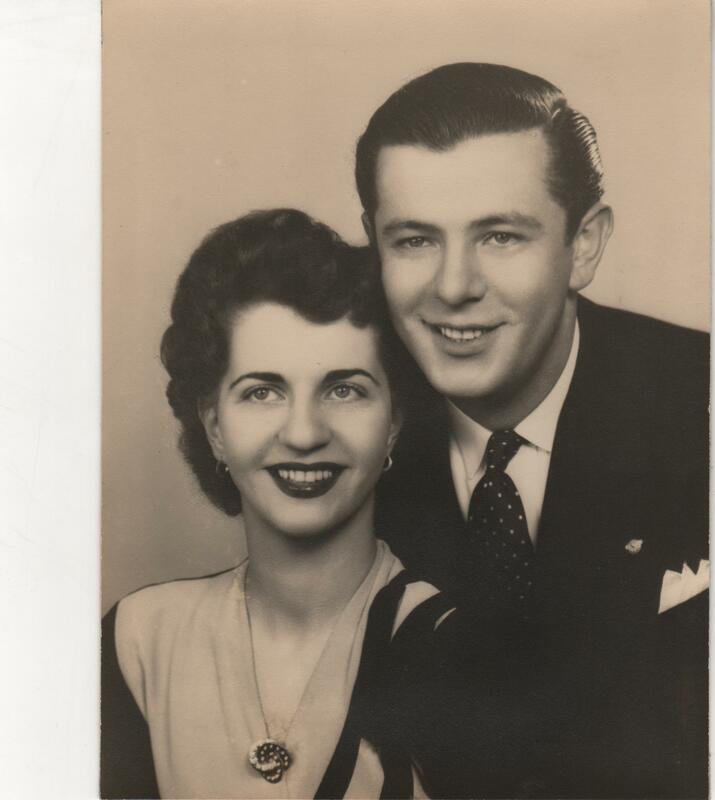 Mom was employed at a bank in Portland, Ore.
Today would have been their 70th wedding anniversary. Mom would be 93, Dad would be 95. They never got to grow old together. Mom was dealt a terrible hand. She was gone not long after her 61st birthday. She suffered from Alzheimer’s disease. We had it diagnosed in the spring of 1980, but in reality she was exhibiting symptoms long before the doctor delivered the grim news. At the end, Mom couldn’t recognize anyone. She couldn’t speak. She couldn’t feed or bathe herself. Dad had died about four years earlier. He decided to take some customers of his on a fishing trip to an inlet just north of Vancouver, British Columbia. Four of them — Dad and two of his customers and the driver of a small boat — were racing back to the lodge as the sun was setting. It was getting dark in the inlet. They hit a log jam at high speed, flipping the boat. Two of the men survived; Dad and the boat driver did not. He was just 59 years of age. I think of them every day. I miss them every day. I also wonder how they might have grown old. It’s only a theory, of course, as you can’t bring them back. But my theory is that Mom likely would have grown old with grace and good humor. She used to recall with fondness her days as a young woman coming of age. She fancied herself as a jokester and the life of any gathering of her peers. Dad was family oriented. 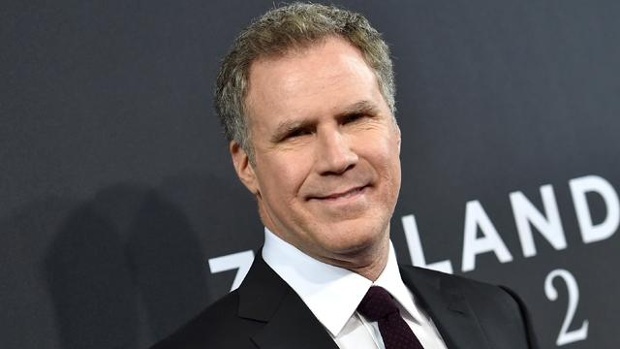 His aging might have been more challenging. He loved being in the presence of my sisters and me — and our families. Dad was close to all of his six siblings and they would recall to me how — as the oldest of the brood — Dad became the family leader as all of them moved from New England to the Pacific Northwest in the late 1930s. Well, you can’t go back. They’ve been gone for well more than three decades. Their marriage lasted 34 years and ended the day Dad died in that senseless accident. They would have turned 70 together today. Pat Summitt’s death this morning of complications from Alzheimer’s disease brought to mind a pledge that one of the candidates for president of the United States made earlier this year. Democratic nominee-to-be Hillary Rodham Clinton pledged to devote $2 billion immediately to search for a cure for the killer disease. I said then that I — and more than likely many other Americans — would keep the pressure on her after she takes the presidential oath of office next January. I was impressed that she would make such a pledge, that she would target such a disease — one that affects loved ones arguably at least as much as it affects those who are afflicted by it. Understand this: My interest in finding a cure for this disease is intensely personal. My family and I have lived through the horror of it, watching my mother waste away as the disease stole her cognitive ability over time. Another beloved member of my family is battling the disease right now and I am dreading what it will do to him eventually. Pat Summitt demonstrated astonishing bravery when she announced she was suffering early-onset of Alzheimer’s-related dementia and then continued to coach her women’s basketball team at the University of Tennessee for one final season. She deserves to be honored and mourned by Americans everywhere. I’m going to look ahead, though, with the hope that if Hillary Clinton is elected president of the United States that she keeps her pledge to go after Alzheimer’s disease. Many millions of us out here understand the pain this disease brings. The number of Americans affected by it only are going to grow as the nation ages. Be advised, Mme. Secretary. We’ll be watching you carefully. I knew about Patricia Sue Summitt’s winning ways on the basketball court. She coached the women’s basketball teams at the University of Tennessee to eight national championships. She was fierce a competitor as they come. 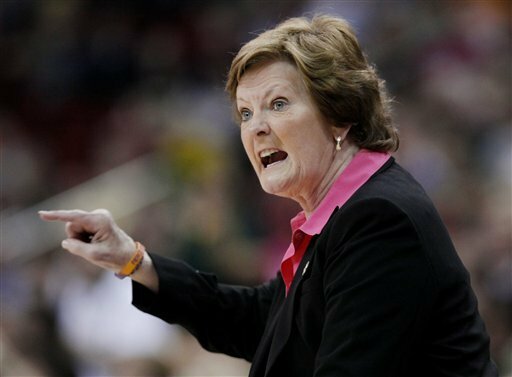 She would end up winning more collegiate basketball games than any coach in the U.S. history. What I didn’t know — or may have forgotten — about Pat Summitt was that she demanded academic achievement among the young women who played basketball for her. When I learned about Coach Summitt’s death this morning of complications from Alzheimer’s disease, I also read something else about her. It was that every young woman who played through their entire athletic eligibility at Tennessee would graduate from the university. Summitt has a 100-percent graduation rate during her storied and iconic athletic career in Knoxville. They’re mourning her death at the university. They’ll remember her NCAA championships. They’ll salute her bravery after announcing she had early onset of the disease that would kill her, how she would coach a final year before walking away knowing more than likely that her time on Earth was short. Those all are wonderful things to salute. I will honor her memory as well for those accomplishments. I will honor her as well because she died of a disease with which I have intimate knowledge, as my own mother lost her own fight against it many years ago. Can there be a greater example of leadership than that?